Vanhankaupunginlahti is located near to the very birthplace of Helsinki: the city was established at the mouth of the river Vantaanjoki in 1550 by Gustav I of Sweden. The location was ideal for a settlement, as the two branches of Vantaanjoki draining into the sea provided fish and hydropower, while also serving as a convenient waterway further inland. Furthermore, the area was surrounded by fertile fields and woodlands, and flanked by a bay that offered both protection and plenty of fish. In spite of all this, Helsinki was eventually moved to Vironniemi in 1640 by order of Per Brahe the Younger, on account of the fact that the shallow and rocky Vanhankaupunginlahti was ill-suited to accommodate large sailing ships. The oldest recorded mentions of Vanhankaupunginlahti as a bird wetland date back several centuries. The area is known to have been visited by painter Magnus von Wright (1805–1868), who hiked and painted in the area in the mid-19th century. The first person known to have spoken of the conservation of the area was Rolf Palmgren (1880–1944). A well-known lover of animals and birds in particular, Palmgren organised excursions to Vanhankaupunginlahti and described the area’s bird species in his book Helsingforstraktens fågelfauna (‘Bird life of the Helsinki area’). Palmgren also served as the director of Helsinki Zoo in 1910–1929 and was Finland’s first official nature preservation supervisor. His magnum opus is the book Luonnonsuojelu ja kulttuuri I–II (‘Nature Conservation and Culture I-II’), published in two volumes in 1920–1922, in which he describes the early days of Finnish conservational thinking. In his books, Palmgren speaks strongly for the conservation of Vanhankaupunginlahti. These appeals were also a response to Helsinki’s city plan, published just prior to Palmgren’s book in 1919 and prepared by Eliel Saarinen, according to which Vanhankaupunginlahti, which was called Latokartanonlahti at the time, was to be filled and converted into a harbour and the islands of Lammassaari and Kuusiluoto flattened to serve as quay areas. Up until the early 20th century, traditional Finnish rural landscapes, including the environs of Vanhankaupunginlahti, were characterised by openness. According to Rolf Palmgren’s descriptions, the bridge over the Vanhankaupunginkoski rapids afforded a view stretching all the way to Viikki Manor, hiding behind the coastal alders. In olden times, the wet coastal areas were grazed by cattle, turning them into low-growing meadows and preventing tree growth. The surrounding fields were used for growing crops. Many of the area’s herb-rich forests were cleared and converted into fields due to their fertile soil. The clearings only increased in the early 20th century, at which point the practice of using cultivated fields as pastures for cattle also started to become more widespread. In addition to this, farmers also began to grow winter fodder in their fields, instead of harvesting it from the natural meadows. As the need for arable land continued to increase, some of the coastal meadows were also drained and converted into fields, one example being the field clearing in front of Viikki Manor, which used to be a wet coastal meadow. Some areas were excluded from agricultural use, however, as a result of which some of the low-lying coastal areas of Vanhankaupunginlahti soon started to develop into forests. Before the spread of modern agricultural practices, cattle were grazed in forests as well. As a result, woodlands located closest to settlements typically turned into park-like pasturages, dotted by individual, bushy landscape trees, under which grassland plants thrived. Further away from settlements, the impacts of cattle were lessened, with woodland pastures being identifiable only by small cattle trails and clearings in the most popular, grassy grazing spots. 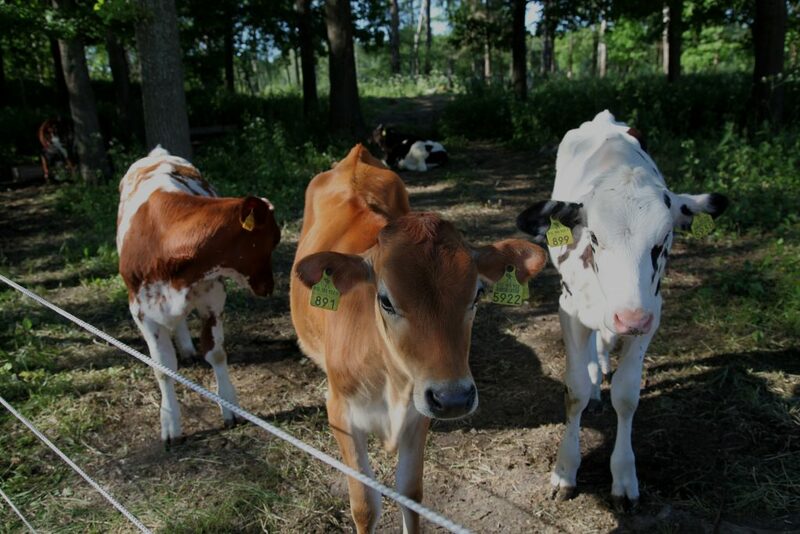 Even today, echoes of traditional land use methods are still visible in the area of Vanhankaupunginlahti, especially in the area between Ruohokari and Lammassaari, which has been restored into the type of grazing meadow that existed in the area in the early 20th century. In addition to this, the lands of the Viikki research farm include the preserved Purolahti coastal meadow and its small pasturages, and north of Mölyylä you can also find the meadow of the old Bäcks croft, located high on the rocks. The mouth of the bountiful river Vantaanjoki and the Vanhankaupunginlahti area are known to have been shaped by human activity for hundreds and even thousands of years, even though no signs of the earliest visitors have been preserved. The oldest buildings in the area surrounding the bay are the main buildings of Viikki Manor and Kulosaari Manor. The estates are known to have existed since the 16th century. The Gustavian-style main building of the current Viikki Manor, which used to be called Viikin Latokartano (‘the Viikki storage manor’), was built as a summer residence in 1831 to replace the previous main building, which was destroyed in a fire. The building served as a Swedish crown manor until Finland became a grand duchy of Russia in 1809, after which it was leased out to various private owners over the years, and to the City of Helsinki in 1917–1931. After this, the Finnish government allocated the majority of the estate to the University of Helsinki’s Faculty of Agriculture and Forestry. There was also a prison colony in the area until 1946, tasked with carrying out restoration work. Nowadays the main building of Viikki Manor houses a restaurant. The neo-classical main building of Kulosaari Manor dates back to the 1810s and was designed by Carl Ludvig Engel. Owned by the Trade Union for the Public and Welfare Sectors JHL, the building can be rented as a venue for various events. Annala Manor, located in Arabia, was built on the spot of an old fishing croft, with the main building dating back to 1832. The founder of Annala, Commercial Counsellor Gustaf Otto Wasenius, named the manor after his first wife Anna Charlotta Meisner. Wasenius, being an avid gardener, also established an extensive garden and park around the manor. Nowadays, Annala is home to the garden association Hyötykasviyhdistys, and the manor’s garden is open to the public. The river Vantaanjoki splits into two branches at its mouth in Vanhakaupunki. Between these branches lies the island of Kuninkaankartanonsaari, which nowadays houses the Museum of Technology. The western shore and the island also house Helsinki’s first water treatment plant, which used to purify water from Vantaanjoki for domestic use. The plant was originally opened in 1876 and operated all the way up to the end of the 1960s. The buildings of the water treatment plant date back to the late 19th and early 20th centuries. The operation of the plant has had a major impact on the island’s environments. Over the centuries, the western branch of the river has accommodated a variety of mills and dams, the most recent of which served as the water treatment plant’s power source. There is also a water and steam power plant next to the dam. 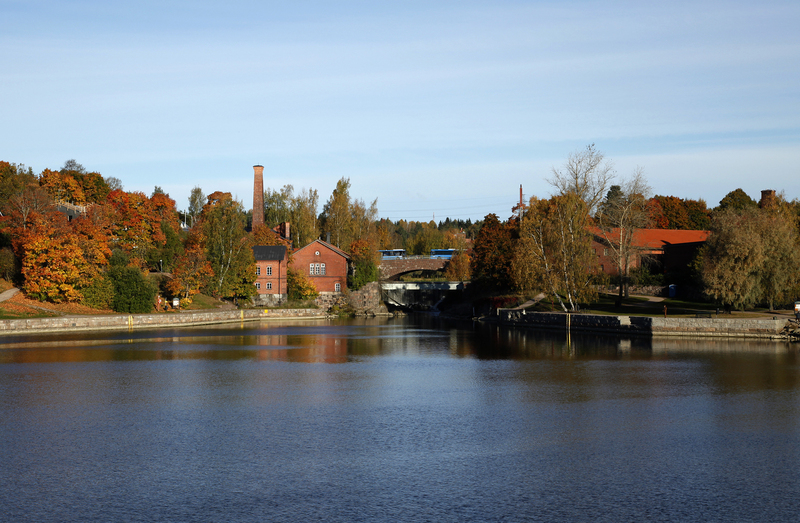 There are several sites in the area of Vanhankaupunginlahti that have been designated as cultural heritage sites of national significance. These include the Viikki research farm, Helsinki’s Vanhakaupunki, which also includes Annala Manor, and the water treatment and sewer facilities at the mouth of the river Vantaanjoki.